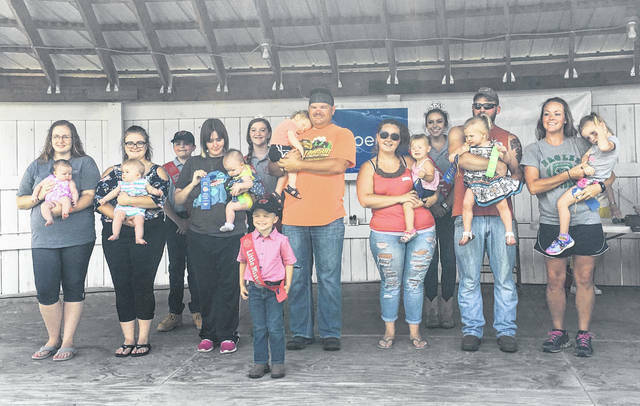 Infants and toddlers age 0-3 took part in the Pretty Baby Contest on Monday at the Meigs County Fair. The winners of each age category for boys in the Pretty Baby Contest (left to right) were Kanon Rawson (0-3 months); J.J. Kuttesch (3-6 months); Brentley Roseberry (6-12 months); Bryson Keaton (12-18 months); Brantlee Fitch (18 months-2 years); Kingston Gheen (2 years). 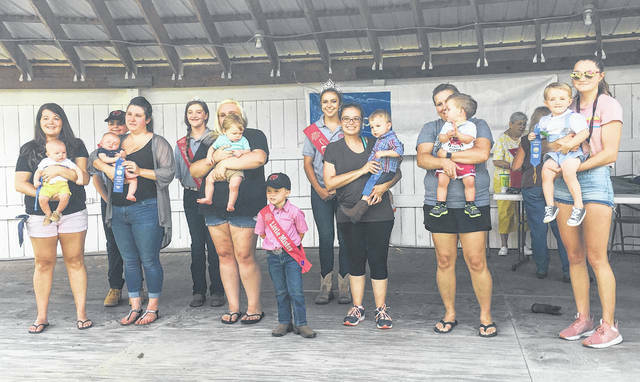 Infants and toddlers age 0-3 took part in the Pretty Baby Contest on Monday at the Meigs County Fair. The winners of each age category for girls in the Pretty Baby Contest (left to right) were Iva Upton (0-3 months); Molly Gilland (3-6 months); Emma Ireland (6-12 months); Jourdyn Johnson (12-18 months); Calliope Russell (18 months-2 years); Carly VanFossen (2 years); and Paisley Stethem (3 years). https://www.mydailysentinel.com/wp-content/uploads/sites/14/2018/08/web1_Pretty-Baby-Boys_ne2018814134613360.jpgInfants and toddlers age 0-3 took part in the Pretty Baby Contest on Monday at the Meigs County Fair. The winners of each age category for boys in the Pretty Baby Contest (left to right) were Kanon Rawson (0-3 months); J.J. Kuttesch (3-6 months); Brentley Roseberry (6-12 months); Bryson Keaton (12-18 months); Brantlee Fitch (18 months-2 years); Kingston Gheen (2 years). https://www.mydailysentinel.com/wp-content/uploads/sites/14/2018/08/web1_Pretty-Baby-Girls_ne2018814134615634.jpgInfants and toddlers age 0-3 took part in the Pretty Baby Contest on Monday at the Meigs County Fair. The winners of each age category for girls in the Pretty Baby Contest (left to right) were Iva Upton (0-3 months); Molly Gilland (3-6 months); Emma Ireland (6-12 months); Jourdyn Johnson (12-18 months); Calliope Russell (18 months-2 years); Carly VanFossen (2 years); and Paisley Stethem (3 years).